In hotel design the Showcase Stair is employed as the main architectural feature of the lobby. It functions as the focal point of the space, and its design and execution are intended to reflect the ideals of the hotel. A great number of early hotels in Europe were born from former manors and palaces that had been privately owned by nobility. These structures may have featured grand, sculptural stairs, but in plan they were located most often in halls or alcoves of their own. Not incorporated into larger spaces that would later become public rooms, these stairs cannot be considered Showcase Stairs, because they did not function as a prominent display element. It was not until the beginning of the 19th century with the advent of the modern hotel, that grand stairs began to be featured as the focal point in hotel's public spaces. The first atrium hotel, Exchange Coffee House (1807), designed by Asher Benjamin was built in Boston at the turn of the century. Meant to have a merchants' exchange on the first floor5 and seven stories tall, it featured an impressive five story interior court (that guest rooms looked out onto) topped by a dome nearly 100 feet wide that featured a central glass skylight.6 This hotel was the first to anticipate the desire for grand lobby spaces that occurred over the next two hundred years. The Exchange encompassed two hundred apartments, a dining room, a ballroom, a library, and a Masonic Hall. It also featured a grand spiral staircase7 designed to impress guests that was used to reach the ballroom on the second floor from the main level dining room. The Tremont House in Boston, built in 1829 by Isaiah Rogers, was the first hotel to become an architectural monument,8 and it enabled the United States to become the leader in hotel design. The Tremont, featuring a white granite neo-classical façade, was recognized as one of the most important buildings in hotel evolution,9 innovation, and display of luxury (a landmark beginning to the age of Grand Hotels). The hotel boasted astonishingly functional planning10 and had the first proper, sole-purposed lobby, a columned rotunda, to greet guests. While the Exchange Coffee House featured a grand stair, it was not visually accessible from the hotel's main public space; the Tremont featured the first formal lobby, but its stairs were simply utilitarian and not visible from the lobby. Both establishments possessed the elements needed to create a Showcase Stair, but they had yet to be combined in the manner that would become the standard practice for hotel lobby design in the years to come. It was in the 1830 decade that stairs began to be located in lobbies primarily to showcase their sculptural qualities. In 1835 the Saint Louis Hotel, located in New Orleans' French Quarter, featured a grand, open stringer sinistral stair11 with ornate handrail scrolls and a carriage that seemed to float.12 The hotel was known for the lavish parties and receptions held behind its façade patterned after the Rue de Rivoli in Paris. The local aristocracy strove to emulate a certain image of France and "le chic parisien", 13 and the impressive, and progressive interior helped create that ambiance. Many of the new large, opulent hotels served railroad stations. The Grosvenor Hotel in London was no exception; it served two stations, both the Brighton line and the adjacent London, Chatham & Dover Railway.21 Designed by James Thomas Knowles, the symmetrical structure featured a double height foyer and a Showcase Stair with a heavy, carved balustrade.22 Like the Station Hotel's staircase, this is another example of a double-return stair; however, only the first flight of bracketed stairs is fully open - the subsequent flights after the quarter-space landing were partially enclosed. In the next decade, the Canyon Hotel was completed in Yellowstone National Park; its architect was Robert C. Reamer. The park had been established decades earlier, but it was the Great Northern Railway that hired the architect to build accommodations to bring in tourists. The Canyon was the second great hotel designed by the architect for Yellowstone; his first was the Old Faithful Inn. Reamer's intention was to contextualize the building in accordance with its natural surroundings. The architect's hotels were credited for establishing the "rustic architectural idiom"38 that was a predominant theme in subsequent western national parks until the end of World War II. Less than a decade later in 1930, Schultze & Weaver finished construction on high-rise Hotel Pierre on the southeast corner of Central Park in New York City. 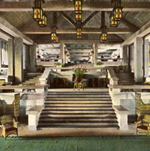 The forty-two-story hotel featured two entrances, and the smaller of the two - which led to the dining room overlooking the park - featured an oval foyer with a double flight grand stair reminiscent in style to that of the Biltmore, yet decidedly less ostentatious.46 The passageway beneath the stair led to the hotel's main lobby and lounge. After World War II, Miami Beach began a renaissance that once again made it a resort town. This time, however, the new hotels shed the pretentions of a Mediterranean architectural heritage and embraced the clean, modern International Style. Designed by Morris Lapidus, and completed in 1953, The Fontainbleau was the most influential resort building of the 1950 decade. Its interior blended both modern and traditional elements (to the disdain of architectural critics and to the acclaim of the public). The public spaces were elaborate and allowed opportunities for dramatic movement of the guests.48 The Fontainbleau's lobby featured a bracketed marble Showcase Stair that only led to a card room. The architect said, "All people ever do is walk halfway up, turn around, and walk back down again. But they love that stairway. And they've seen it in the movies - the princess walks down the stairway. "49 In this instance, the Showcase Stair's undeniable main purpose was to engage and delight the user, not transport him or her. Despite its stone construction, the carriage50 of the staircase was thin and appeared very light. The curved metal balusters were almost visually negligible from afar; however, they were elegantly articulated and attached in an unusual manner to both the stringer and to the treads. The dark banister thus appeared to almost float above the staircase in a parallel line to the silhouette of the flights and the landing. The Ritz in Lisbon, Portugal opened in 1960 as one of the world's most luxurious hotels. Sixteen stories tall with over three hundred guestrooms, the hotel was planned and constructed according to the most modern architectural principles of the time. Its Showcase Stair was adjacent to the main lobby and clad in a dark pink marble.51 The open stair was visually light; it featured only a thin balustrade with glass panels for safety. The open string flights had nosings that were the same width as the exposed risers, which created a simple, uninterrupted zigzag pattern from stairfoot to stairhead. When it opened in 1973, Houston's Host Airport Hotel featured a stunning Showcase Stair adjacent to the glass-encased elevator in its main lobby. The minimalist dextral stair52 featured a moderate curve that referenced the shape of the multi-level atrium within which it was located.53 The hotel featured underground tunnels that connected it to the airplane terminals - a connection reminiscent of the relationship of train station hotels to their train terminals in the19th century. In the 1990 decade, designers such as Philippe Stark began to challenge what was expected of a hotel. With avant-garde concepts for boutique hotels Stark and others invented new definitions of a luxury experience. Stark created the Paramount Hotel with hotelier Ian Schrager in New York City in 1990. The relatively small two-story lobby was conceptually a stylized living room featuring conversational groupings of furniture, vintage rotary-dial telephones, a Harlequin (Intype)58 area rug and light play.59 The sculptural wedge-shaped stair appears simultaneously massive and floating, and the glass balustrade is almost invisible.60 The stair, narrower at the bottom than the top, had one landing with Hotspots (Intype)61 that encouraged users to pause as they ascended or descended. Showcase stairs exist out of necessity in hotels; ironically, though, not because they are needed to fulfill their original function of aiding vertical movement. Showcase Stairs remain a necessity because of the public's ingrained romantic expectation of seeing the sculptural form that embodies ideals of a hotel. Some smaller hotels lack the space for a proper stair and their loss is understandable, yet palpable. Their lobbies feel as though something is missing - or rather that the lobby does not, in fact, belong to a hotel. Philippe Stark, when designing the Paramount hotel in 1990, strove to break from any previously held notions of how a hotel should appear. There in the lobby, though, was the prominent stair, one of the oldest archetypical practices in hotel design. Wildly rendered though it was, it behaved as any other showcase Stair does: attracting attention and highlighting movement. If Stark truly wanted to create an original hotel, the stair would be hidden, deemphasized, or absent. That, though, was too big a risk. Twenty years later this undisputed comprehension of the importance of the Showcase Stair continues to propel the practice. 1) Marta Mendez, "Theory Studies: Archetypical Practices of Contemporary House Design" (M.A. Thesis, Cornell University, 2008), 116-128; Leah Scolere, "Theory Studies: Contemporary Retail Design" (M.A. Thesis, Cornell University, 2004), 68-69. 2) John Templar, The Staircase: History and Theories (Cambridge, MA: The MIT Press, 1992), 28. 3) Michael Spens, Staircases: Detail in Building (London, England: Academy Group, Ltd., 1995), 14. 4) Spens, Staircases, 6, 15; Templar, History and Theories, 28. 5) Nikolaus Pevsner, A History of Building Types (Princeton, NJ: Princeton University Press, 1976), 174. 6) Jeffrey Limerick, et al., America's Grand Resort Hotels (New York City: Pantheon Books, 1979), 17. 7) Jeffrey Limerick, et al., America's Grand Resort Hotels (New York City: Pantheon Books, 1979), 17. 8) Pevsner, A History of Building Types, 174. 9) Howard Watson, Hotel Revolution (Chichester, England: Wiley-Academy, 2005), 9. 10) Henry End, Interiors 2nd Book of Hotels (New York City: Whitney Library of Design, 1978), 11. 11) SINISTRAL STAIR: a stair that turns to the left in ascent. 12) Lobby, Saint Louis Hotel  Anonymous, Interior Design; Anonymous, Architecture; New Orleans, LA in Catherine Gregory and Marc Walter, Grand American Hotels (New York City: Vendome Press, 1989), 104; PhotoCrd: The Historic New Orleans Collection. 13) Catherine Gregory and Marc Walter, Grand American Hotels (New York City: Vendome Press, 1989), 104. 14) Elaine Denby, Grand Hotels (London, Reaktion Books, 1998), 62. 15) DOUBLE RETURN STAIR: a stair with one wide flight up from the lower floor to the landing and two flights from the landing to the next floor. 16) STRING: a sloping board at each end of the treads that carries the treads and risers of the stair; OPEN STRING: a string that leaves the ends of the treads and risers exposed on the outside. 17) Lobby, Station Hotel  Anonymous, Interior Design; Jos. Mitchell, Architecture; Inverness, Ireland in Elaine Denby, Grand Hotels (London, England: Reaktion Books, 1998), 63; PhotoCrd: Oliver Carter Collection. 18) Denby, Grand Hotels, 62. 19) Pevsner, A History of Building Types, 188. 20) Denby, Grand Hotels, 49. 21) Denby, Grand Hotels, 49. 22) Lobby, Grosvenor Hotel  Anonymous, Interior Design; James Thomas Knowles, Architecture; London, England in Elaine Denby, Grand Hotels (London, England: Reaktion Books, 1998), 50; PhotoCrd: Royal Commision on the Historical Monuments of England. 23) Pevsner, A History of Building Types, 190; Denby, Grand Hotels, 51, 53. 24) LANDING: a platform at the top, bottom, or between flights of a staircase. Flight: a series of steps between landings. 25) Lobby, Midland Grand Hotel  Anonymous, Interior Design; George Gilbert Scott, Architecture; London, England in Nicolaus Pevsner, A History of Building Types (Princeton, NJ: Princeton University Press, 1976), 189; PhotoCrd: Country Life. 26) BALUSTER: a post in a balustrade of a flight of stairs that supports a handrail. 27) Lobby, Hôtel Métropole  Anonymous, Interior Design; Anonymous Architecture; Cannes, in David Watkin et al., Grand Hotel: The Golden Age of Palace Hotels an Architectural and Social History (New York City: Vendome Press, 1984), 51. PhotoCrd: Roger Viollet. 28) David Watkin et al., Grand Hotel: The Golden Age of Palace Hotels an Architectural and Social History (New York: Vendome Press, 1984), 53. 29) FLIER: a rectangular tread; Tread: the (usually) horizontal surface of a step; also the length (from front to back) of such a surface; Curtail Step: a step curved in plan, so that one or both ends project in a semicircular or spiral shape, usually used for the lowest steps in a flight. 30) Lobby, Ponce de Leon Hotel  Bernard Maybeck, Interior Design; John M. Carrére and Thomas Hastings, Architecture; St. Augustine, FL in Limerick, America's Grand Resort Hotels, 83; PhotoCrd: Library of Congress. 31) Limerick, America's Grand Resort Hotels, 81-86. 32) DOGLEG STAIR: a stair with two flights separated by a half-landing, and having no stairwell, so that the upper flight returns parallel to the lower flight. 33) Lobby, Hôtel Terminus  Anonymous, Interior Design; Anonymous Architecture; Paris, France in David Watkin et al., Grand Hotel: The Golden Age of Palace Hotels an Architectural and Social History (New York City: Vendome Press, 1984), 65; PhotoCrd: Archives Architecture Moderne (Bruxelles). 34) CLOSED STRING: a string that extends above the edges of the risers and treads, covering them on the outside; Riser: the upright face of a step. 35) David Watkin, Grand Hotel, 65. 36) Watkin, Grand Hotel, 58. 37) Lobby, The Palace Hôtel  Anonymous, Interior Design; Luigi Manini, Architecture; Bussaco in David Watkin et al., Grand Hotel: The Golden Age of Palace Hotels an Architectural and Social History (New York City: Vendome Press, 1984), 57; PhotoCrd: Roger Viollet. 38) Limerick, America's Grand Resort Hotels, 133. 39) Lobby, Canyon Hotel  Robert C. Anonymous, Interior Design; Reamer, Architecture Yellowstone National Park in Limerick, America's Grand Resort Hotels, 136; PhotoCrd: The Western Architect. 40) Limerick, America's Grand Resort Hotels, 133-37. 41) Lobby, Hôtel George V [c1920] Anonymous, Interior Design; Anonymous, Architecture; Paris in David Watkin et al., Grand Hotel: The Golden Age of Palace Hotels an Architectural and Social History (New York City: Vendome Press, 1984), 204; PhotoCrd: Anonymous. 42) Watkin, Grand Hotel, 207. 43) Marianne Lamonaca and Jonathan Mogul, eds., Grand Hotels of the Jazz Age: The Architecture of Schultz & Weaver (Princeton, NJ: Princeton Architectural Press, 2005), 19. 44) STAIRHEAD: the top of a stair. 45) Lobby, Bilmore Hotel  Schultze & Weaver, Interior Design; Schultze & Weaver, Architects; Los Angeles, CA in Marianne Lamonaca and Jonathan Mogul, eds., Grand Hotels of the Jazz Age: The Architecture of Schultz & Weaver (Princeton, NJ: Princeton Architectural Press, 2005), 20; PhotoCrd: Vicki Gold Levi Collection. 46) Lobby, Hotel Pierre  Anonymous, Interior Design; Schultze & Weaver, Architecture; New York City in Marianne Lamonaca and Jonathan Mogul, eds., Grand Hotels of the Jazz Age: The Architecture of Schultz & Weaver (Princeton, NJ: Princeton Architectural Press, 2005), 227; PhotoCrd: Amemya, Kushu University Design Library, Lloyd Morgan Architectural Collection; Lamonaca, Grand Hotels of the Jazz Age, 217. 47) Lobby, Fairmont Hotel  Dorothy Draper, Interior Design; Anonymous, Architecture; San Francisco in Carlton Varney, In the Pink: Dorothy Draper: America's Most Fabulous Decorator (New York City: Pointed Leaf Press, 2006), 101; PhotoCrd: Dorothy Draper, Inc.
48) Limerick, America's Grand Resort Hotels, 241, 243, 247. 49) Lobby, The Fontainbleau  Anonymous, Interior Design; Morris Lapidus, Architecture; Miami in Limerick, America's Grand Resort Hotels, 246; PhotoCrd: Morris Lapidus Associates, Architects; Limerick, America's Grand Resort Hotels, 245. 50) CARRIAGE: the entire supporting framing of a stair, including stringers. 51) Lobby, The Ritz Hotel  Manuel Rodriges, Fundaçao Ricardo Espírito Santo e Silva, Castro Freire, Fred Kradolfer, Lucien Donnat, Henry Samuel, Interior Design; Anonymous, Architecture; Lisbon, Portugal in "The Ritz in Lisbon," Interior Design 32, no.10 (Oct. 1961): 170; PhotoCrd: Anonymous. 52) DEXTRAL STAIR: a stair that turns to the right during ascent. 53) Lobby, Host Airport Hotel  Design/Cord, Interior Design; William B. Tabler, Architecture; Houston, TX in "Houston's Host Airport Hotel," Interior Design 44, no.5 (May 1973): 134; PhotoCrd: Anonymous. 54) Lobby, Peninsula Hotel [c1985] Hirsch/Bender, Interior Design; AI Group, Architecture; New York City in Anne M. Schmid and Mary Scoviak-Lerner, International Hotel and Resort Design (New York City: Rizzoli International Publications, 1988); 37; PhotoCrd: Jamie Ardiles-Arce. 55) HANDRAIL SCROLL: the spiral ending to a handrail. 56) Anne M. Schmid and Mary Scoviak-Lerner, International Hotel and Resort Design (New York: Rizzoli International Publications, 1988), 36. 57) Lobby, Chicago Hilton and Towers  Hirsch/Bender, Interior Design; Solomon, Cordwell, Buenz, & Associates, Architecture; Chicago, IL in Anne M. Schmid and Mary Scoviak-Lerner, International Hotel and Resort Design (New York City: Rizzoli International Publications, 1988); 187; PhotoCrd: Jamie Ardiles-Arce. 58) Intypes researcher Marta Mendez identified Harlequin in her 2008 luxury apartment study. Harlequin refers to a checkered pattern (alternating colored squares) oriented in a 90° or a 45° angle typically made of marble, wood, or clay tiles. Mendez, Marta. "Theory Studies: Archetypical Practices of Contemporary House Design." M.A. Thesis, Cornell University, 2008, 76. 59) Berens, Hotel Bars and Lobbies (New York City: McGraw-Hill, 1997), 109. 60) Lobby, Paramount Hotel  Philippe Stark, Interior Design; Anonymous, Architecture; New York City in Carol Berens, Hotel Bars and Lobbies (New York City: McGraw-Hill, 1997); 112. PhotoCrd: Tom Vack/Nancy Assuncao Associates. 61) Intypes researcher Joanne Kwan identified Hotspot in her 2010 lighting design study. Hotspot is an isolated pool of bright downlight that operates in contrast to its surroundings. Hotspot encourages a pause in movement and collection around or within it. It is achieved with a single spot light or a single fixture on a light track. Kwan, Joanne. "Theory Studies: Archetypical Artificial Lighting Practices in Contemporary Interior Design." M.A. Thesis, Cornell University, 2010, 41-51. 62) HELICAL STAIR: the correct, but not the usual, name for a spiral stair. 63) Lobby, Shanghai Centre [c1995] John Portman & Associates, Interior Design; John Portman & Associates, Architecture; Shanghai, China in Rosalie M. Grattaroti, ed., Hotel Design: International Portfolio of the Finest Contemporary Designs (Glouchester, MA: Rockport Publishers, Inc., 1994), 102. 64) Rosalie M. Grattaroti, ed., Hotel Design: International Portfolio of the Finest Contemporary Designs (Glouchester, MA: Rockport Publishers, Inc., 1994), 102. 65) Lobby, The Four Seasons  United Designers Limited, Interior Design; RHWL, Architecture; London, England in "Cubism in the Docklands," Interior Design 71, no.3 (Mar. 2000): S29; PhotoCrd: Ken Hayden. 66) Anonymous, "Cubism in the Docklands," Interior Design 71, no.3 (Mar. 2000): S29. 67) Intypes researcher Rachel Goldfarb identified Black White in her 2008 resort and spa study. Black White describes an interior space that is limited to a black white palette for the floor, wall, ceiling planes and for furnishings. Goldfarb, Rachel. "Theory Studies: Archetypical Practices of Contemporary Resort and Spa Design." M.A. thesis, Cornell University, 2008, 46. 68) Lobby, Mondrian South Beach Hotel  Marcel Wanders Studio, Interior Design; Anonymous, Architecture; Miami, FL in Sheila Kim-Jamet and Elena Kornbluth "High Style Home-Style," Interior Design 81, no.2 (Feb. 2009): 141; PhotoCrd: Morgan Hotel Group. 69) Sheila Kim-Jamet and Elena Kornbluth, "High Style Home-Style," Interior Design 81, no.2 (Feb. 2009): 141. 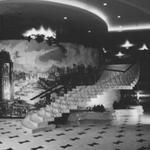 70) Evidence for the archetypical use and the chronological sequence of Showcase Stair in hotels was developed from the following sources: 1830 Lobby, Saint Louis Hotel  Anonymous, Interior Design; Anonymous, Architecture; New Orleans, LA in Catherine Gregory and Marc Walter, Grand American Hotels (New York City: Vendome Press, 1989), 104; PhotoCrd: The Historic New Orleans Collection / 1850 Lobby, Station Hotel  Anonymous, Interior Design; Jos. Mitchell, Architecture; Inverness, Ireland in Elaine Denby, Grand Hotels (London, England: Reaktion Books, 1998), 63; PhotoCrd: Oliver Carter Collection / 1860 Lobby, Grosvenor Hotel  Anonymous, Interior Design; James Thomas Knowles, Architecture; London, England in Elaine Denby, Grand Hotels, 50; PhotoCrd: Royal Commision on the Historical Monuments of England / 1870 Lobby, Midland Grand Hotel  Anonymous, Interior Design; George Gilbert Scott, Architecture; London, England in Nicolaus Pevsner, A History of Building Types (Princeton, NJ: Princeton University Press, 1976), 189; PhotoCrd: Country Life / 1880 Lobby, Hôtel Métropole  Anonymous, Interior Design; Anonymous Architecture; Cannes, in David Watkin et al., Grand Hotel: The Golden Age of Palace Hotels an Architectural and Social History (New York City: Vendome Press, 1984), 51. PhotoCrd: Roger Viollet; Lobby, Ponce de Leon Hotel  Bernard Maybeck, Interior Design; John M. Carrére and Thomas Hastings, Architecture; St. Augustine, FL in Jeffrey Limerick, et al., America's Grand Resort Hotels (New York City: Pantheon Books, 1979), 83; PhotoCrd: Library of Congress. ; Lobby, Hôtel Terminus  Anonymous, Interior Design; Anonymous Architecture; Paris, France in Watkin, Grand Hotel, 65; PhotoCrd: Archives Architecture Moderne (Bruxelles) / 1900 Lobby, The Palace Hôtel  Anonymous, Interior Design; Luigi Manini, Architecture; Bussaco in Watkin, Grand Hotel, 57; PhotoCrd: Roger Viollet / 1910 Lobby, Canyon Hotel  Robert C. Anonymous, Interior Design; Reamer, Architecture Yellowstone National Park in Limerick, America's Grand Resort Hotels,136; PhotoCrd: The Western Architect / 1920 Lobby, Hôtel George V [c1920] Anonymous, Interior Design; Anonymous, Architecture; Paris in Watkin, Grand Hotel, 204; PhotoCrd: Anonymous. ; Lobby, Bilmore Hotel  Schultze & Weaver, Interior Design; Schultze & Weaver, Architects; Los Angeles, CA in Marianne Lamonaca and Jonathan Mogul, eds., Grand Hotels of the Jazz Age: The Architecture of Schultz & Weaver (Princeton, NJ: Princeton Architectural Press, 2005), 20; PhotoCrd: Vicki Gold Levi Collection / 1930 Lobby, Hotel Pierre  Anonymous, Interior Design; Schultze & Weaver, Architecture; New York City in Lamonaca and Mogul, Grand Hotels of the Jazz Age, 227; PhotoCrd: Amemya, Kushu University Design Library, Lloyd Morgan Architectural Collection / 1940 Lobby, Fairmont Hotel  Dorothy Draper, Interior Design; Anonymous, Architecture; San Francisco in Carlton Varney, In the Pink: Dorothy Draper: America's Most Fabulous Decorator (New York City: Pointed Leaf Press, 2006), 101; PhotoCrd: Dorothy Draper, Inc. / 1950 Lobby, The Fontainbleau  Anonymous, Interior Design; Morris Lapidus, Architecture; Miami in Limerick, America's Grand Resort Hotels, 246; PhotoCrd: Morris Lapidus Associates, Architects / 1960 Lobby, The Ritz Hotel  Manuel Rodriges, Fundaçao Ricardo Espírito Santo e Silva, Castro Freire, Fred Kradolfer, Lucien Donnat, Henry Samuel, Interior Design; Anonymous, Architecture; Lisbon, Portugal in "The Ritz in Lisbon," Interior Design 32, no. 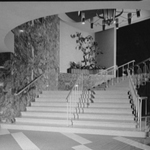 10 (Oct. 1961): 170; PhotoCrd: Anonymous / 1970 Lobby, Host Airport Hotel  Design/Cord, Interior Design; William B. Tabler, Architecture; Houston, TX in "Houston's Host Airport Hotel," Interior Design 44, no.5 (May 1973): 134; PhotoCrd: Anonymous / 1980 Lobby, Peninsula Hotel [c1985] Hirsch/Bender, Interior Design; AI Group, Architecture; New York City in Anne M. Schmid and Mary Scoviak-Lerner, International Hotel and Resort Design (New York City: Rizzoli International Publications, 1988); 37. PhotoCrd: Jamie Ardiles-Arce / 1990 Lobby, Chicago Hilton and Towers  Hirsch/Bender, Interior Design; Solomon, Cordwell, Buenz, & Associates, Architecture; Chicago, IL in Schmid and Scoviak-Lerner, International Hotel and Resort Design, 187; PhotoCrd: Jamie Ardiles-Arce. ; Lobby, Paramount Hotel  Philippe Stark, Interior Design; Anonymous, Architecture; New York City in Carol Berens, Hotel Bars and Lobbies (New York City: McGraw-Hill, 1997); 112. PhotoCrd: Tom Vack/Nancy Assuncao Associates; Lobby, Shanghai Centre [c1995] John Portman & Associates, Interior Design; John Portman & Associates, Architecture; Shanghai, China in Rosalie M. Grattaroti, ed., Hotel Design: International Portfolio of the Finest Contemporary Designs (Glouchester, MA: Rockport Publishers, Inc., 1994), 102; PhotoCrd: Anonymous / 2000 Lobby, The Four Seasons  United Designers Limited, Interior Design; RHWL, Architecture; London, England in "Cubism in the Docklands," Interior Design 71, no.3 (Mar. 2000): S29; PhotoCrd: Ken Hayden. ; Lobby, Mondrian South Beach Hotel  Marcel Wanders Studio, Interior Design; Anonymous, Architecture; Miami, FL in Sheila Kim-Jamet and Elena Kornbluth "High Style Home-Style," Interior Design 81, no.2 (Feb. 2009): 141; PhotoCrd: Morgan Hotel Group.